Marta’s fosterer now feels that the other dog Marta is living with is really helping her with her confidence, so they feel she would benefit from having another dog around, but she’d need to have some meetings first as she can be reactive to strange dogs. Although she doesn’t need vigorous exercising, she does love her walks and she is strong. She will pull if she sees squirrels, etc., so she needs a strong and fit owner. Marta doesn’t cope too well with stairs, so a home where she doesn’t have to negotiate them would be perfect please. She does not need to run around, so she doesn’t necessarily need a large garden as long as she is taken out regularly for interesting walks. She is afraid of the dark and also of torchlight, so daytime walks are a must. This may be an issue when days are shorter in the winter, so this needs to be considered. Large and lovely, Marta was rescued from Bulgaria over a year ago and is in a foster home in Newport, South Wales, provided by Romanian Rescue Appeal. 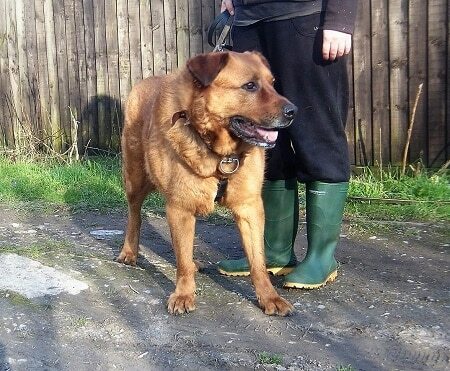 She is looking for a relatively quiet, rural home as an only dog or with another large dog after introduction. Marta is now 8 years old and was born in March 2011. 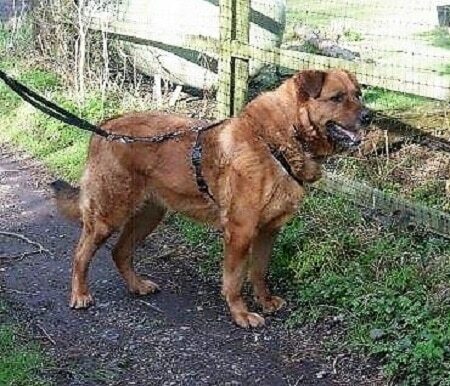 She is a large, tan Crossbreed and has been neutered. She’s healthy and has no known medical needs. Marta is soppy and friendly with people and particularly likes men. She is not very active and does not run about. She does not need energetic walks but does enjoy a lengthy wander with lots to sniff. Marta walks well on a lead and can be left for short periods. 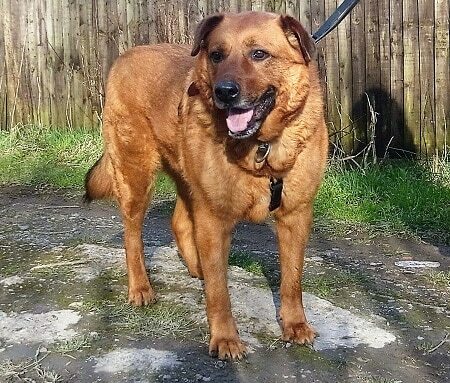 Marta has been used to living with large dogs but, since living in the UK, has been at times reactive to some other dogs and would need to meet any potential housemates before rehoming. She does have a good relationship with a male Rottweiler she currently lives with and enjoys playing with him, but she would also be fine as an only dog. Marta would probably be best not homed with small dogs, cats or small furries/birds, etc. She has, over time, learned not to chase cats in her foster home but her instinct will always be there. She has learned to ignore horses. Marta is fine with children but, due to her size, she would be better not rehomed with very young ones. She would prefer a suburban or rural life and a home with a garden; city life would be too much for her. Or to send them a message through their Facebook page, click here. 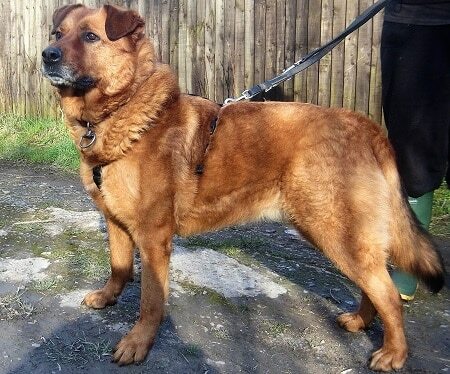 Please mention you saw Marta on the Oldies Club website.